Keep it Klassy, Salem! 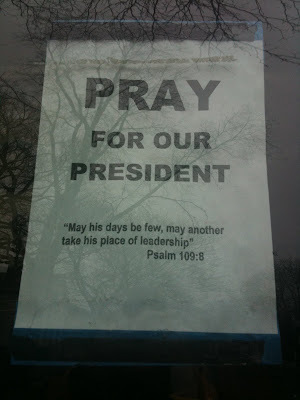 : Prayers for the president? The below sign was in the window of an unmarked (gee, I wonder why?) 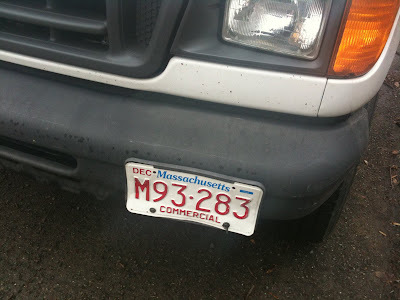 commercial van spotted in downtown Salem by one of our little birdies on Monday. Klassy, eh? 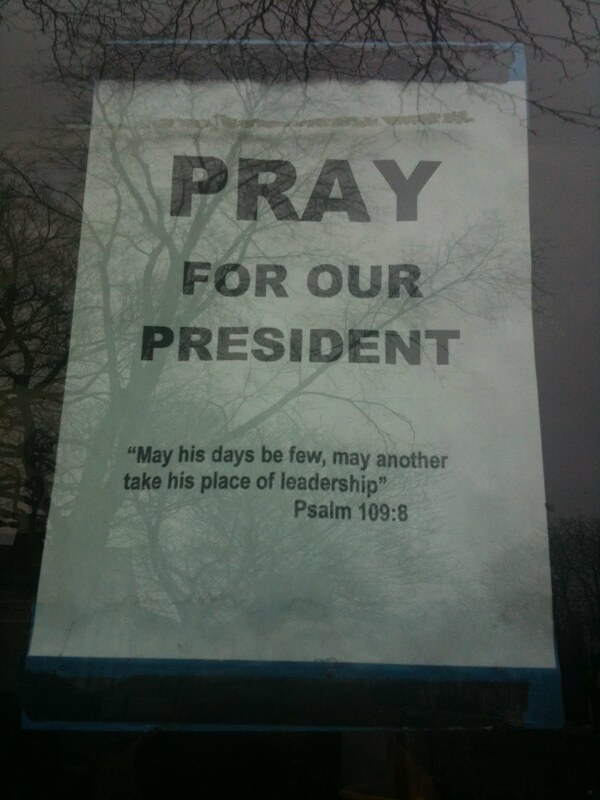 I love a good political debate, but praying for harm to come to our president is just disgusting. In case you're curious, verse 9 reads, "May his children be fatherless, and his wife a widow." As you see, the meaning is unambiguous. The driver of this commercial van is praying for the death of a sitting president. Here's the license plate. Anyone know what business it belongs to?